Built around the mid 18th century, The Inn at Narrow Passage sits amid 5 acres on the Shenandoah River. 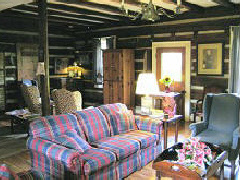 It offers 12 guest rooms, most with working fireplaces, and views of the Massanutten Mountains. Highly rated by independent reviewers, The Inn at Narrow Passage is within easy reach of major cities such as Washington DC and Baltimore, with the George Washington National Forest just a short drive away.